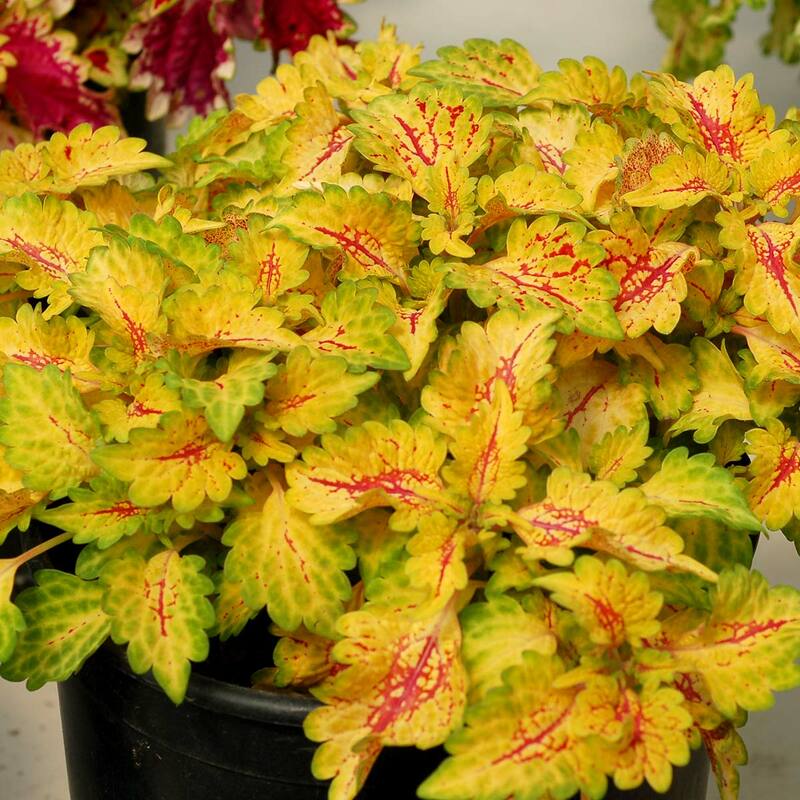 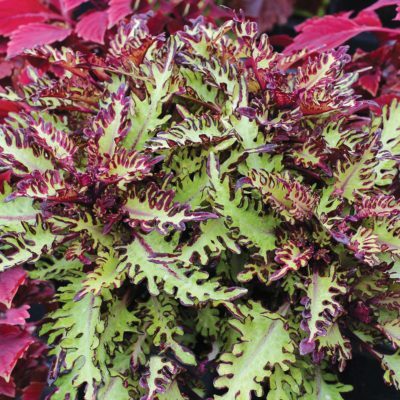 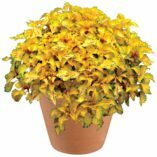 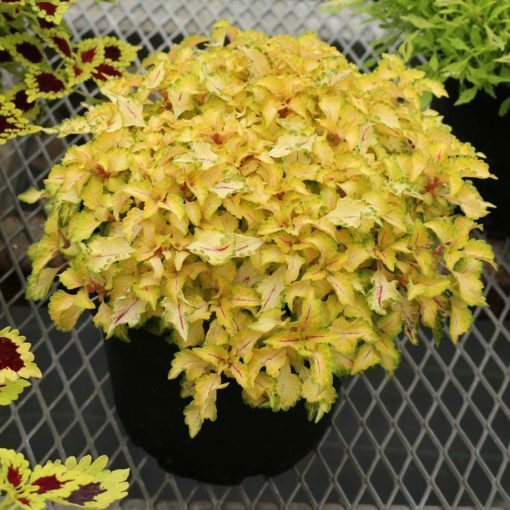 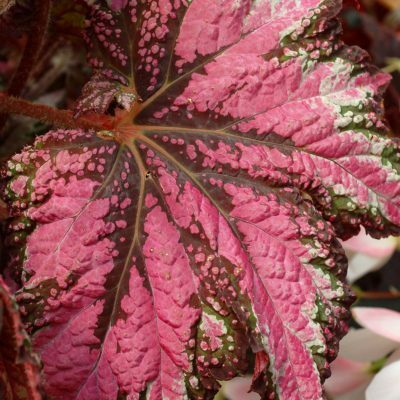 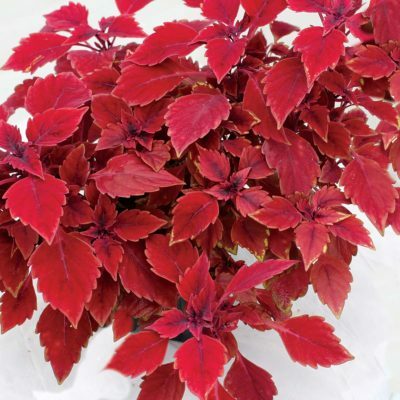 Coleus WILDFIRE™ ‘Flicker’ | TERRA NOVA® Nurseries, Inc.
Petite, peachy-gold foliage is splashed with red veins that blush pink in the sun. 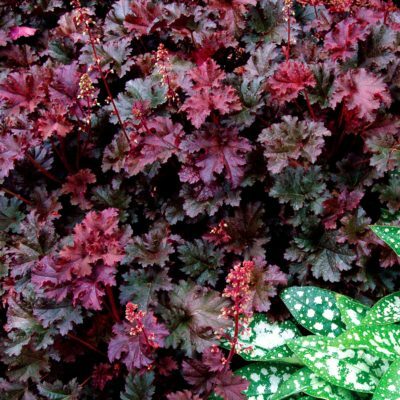 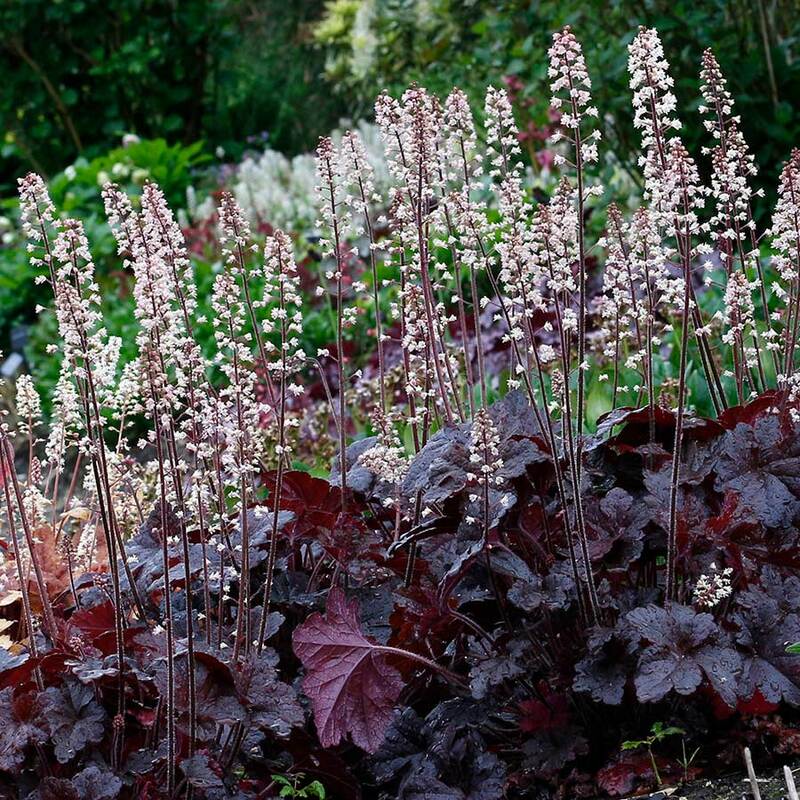 WILDFIRE™ 'Flicker' has a very tight mound that blends with green, pink and red foliage and flowers. 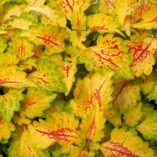 Branches well with no pinching. 14" / 14" / –"
Compared to 'Green and Gold Queen' it is more trailing, more yellow and has red center veins. 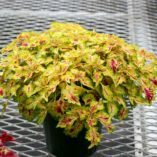 Hanging baskets, house plant, summer edging.